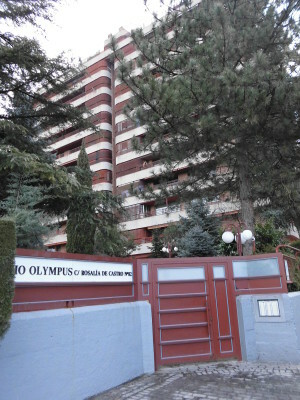 Le Corbusier in Madrid . | Cuaderno profesional Joan Amenós. 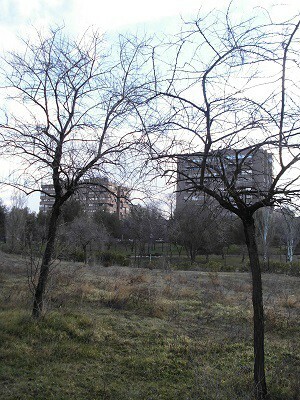 La ciudad y las leyes. ← Els catalans no parlem. 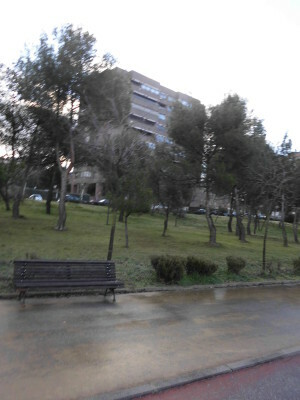 1.-Two days in “la Villa y Corte”, between the historic core –“Tirso de Molina, Sol, Gran Vía, Tribunal, …” Sabina sang- and the northern periphery. 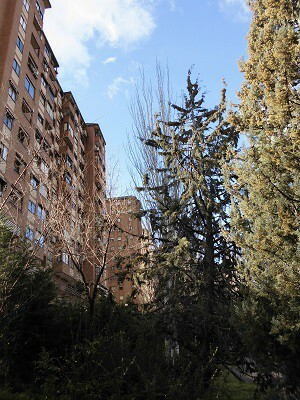 Moving within Madrid. 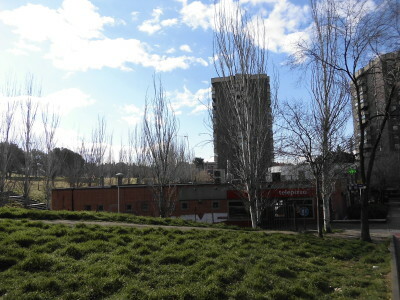 I have been walking in an interesting urban area, in front of “Monte de El Pardo”, a big forest, northwest of the capital. 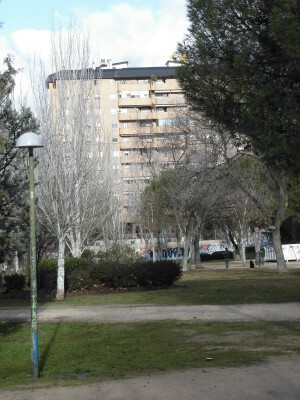 The neighborhood is named “Arroyo del Fresno”, between Mirasierra which is west and Puerta de Hierro which is south. 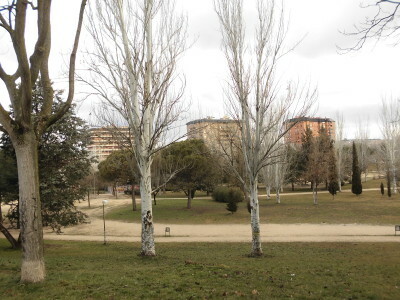 It’s the north-west border of urban Madrid, before the impressive green extension of El Pardo. 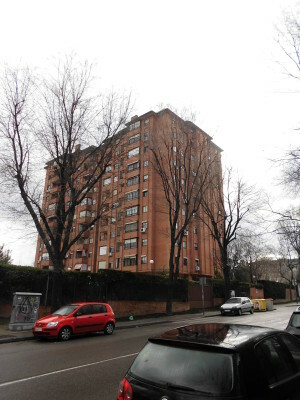 -The buildings are very high (normally, eleven floors or more). There is a large separation between them. 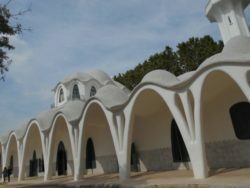 The separation allows sunshine and ventilation for all the dwellings. That was a relevant obsession for Le Corbusier. -The functional specialization is extreme. 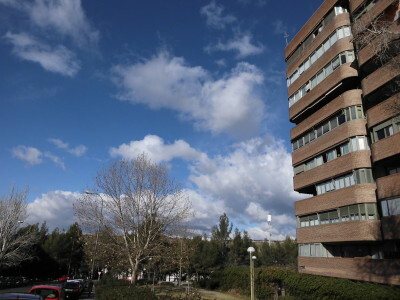 Actually, these high buildings are only for residential purposes. There is always a gated area before the entrance to the properties. This zone includes gardens, car parks and –in some cases- reduced sport or playground sectors. -Any commercial use is forbidden. Actually, there are only dedicated plots for shops or restaurants. I suppose people need to shop in other parts of the city or in remote malls. 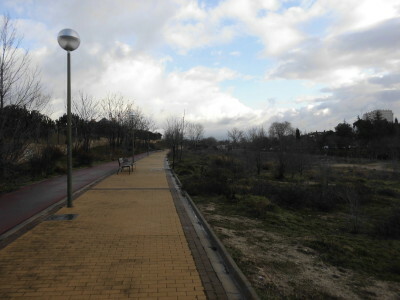 -There are often some examples of secluded paths only for pedestrians , bicycles and not motorised vehicles. This was another important idea for Le Corbusier. 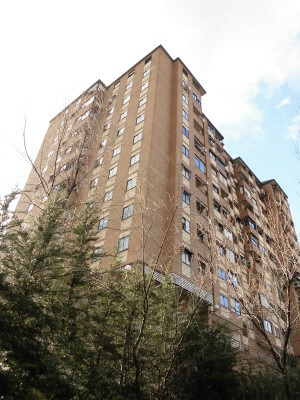 -The neighborhood is well connected by two highways on the edge, one rail station and one underground stop. 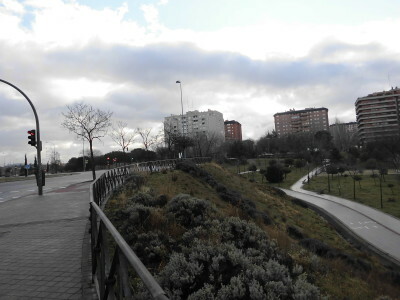 As well as, several bus lines inside the district and linked with other parts of Madrid. 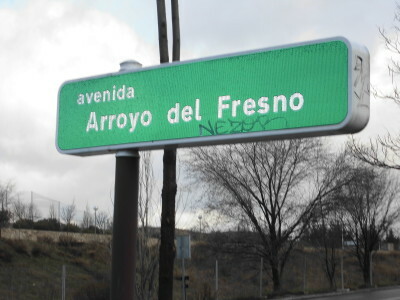 3.-Is Arroyo del Fresno a compact city? I don’t know. There is a relatively low density , there aren’t mixed uses and a lot of details show we are in a middle-high class zone. Actually, we are in a peculiar form of sprawl. Of course, everything seems far: shops, jobs, factories…But people seem happy with this specialized silence. 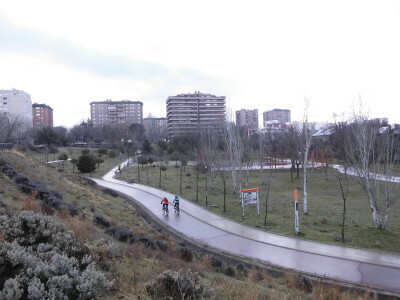 Different paths for cars, pedestrians and bikes. 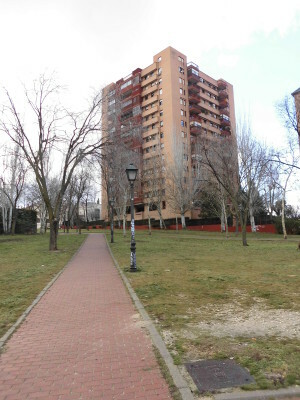 Gated communities in urban Madrid? Of course, but yet not in a suburb. 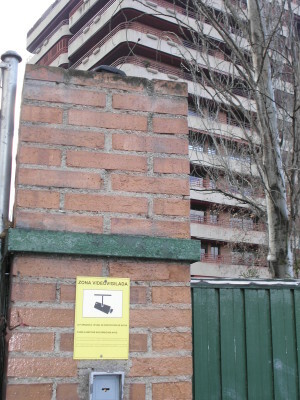 Esta entrada fue publicada en Land use y etiquetada Le Corbusier, Madrid, Sprawl. Guarda el enlace permanente.